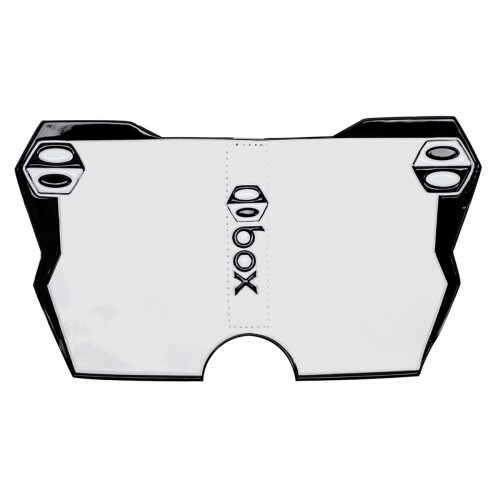 Designed for the European market and for UCI races, Box Two Side Number Plates are made from embossed foam and feature full-color printed graphics. They meet UCI regulations and fit all bicycle frames. Hook-and-loop straps combined with a piece of adhesive-backed hook-and-loop tape hold the plates firmly in place. They are black with a white background.